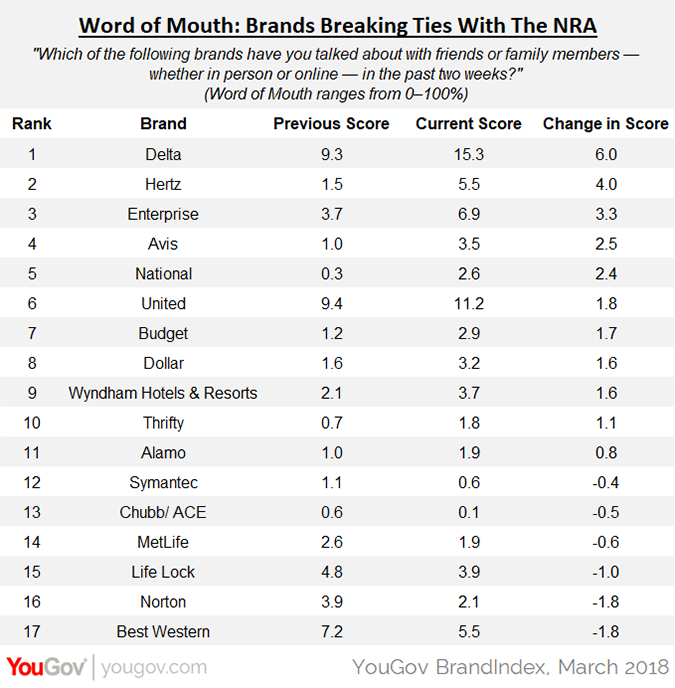 One brand did turn up high on two key metrics: United Airlines. 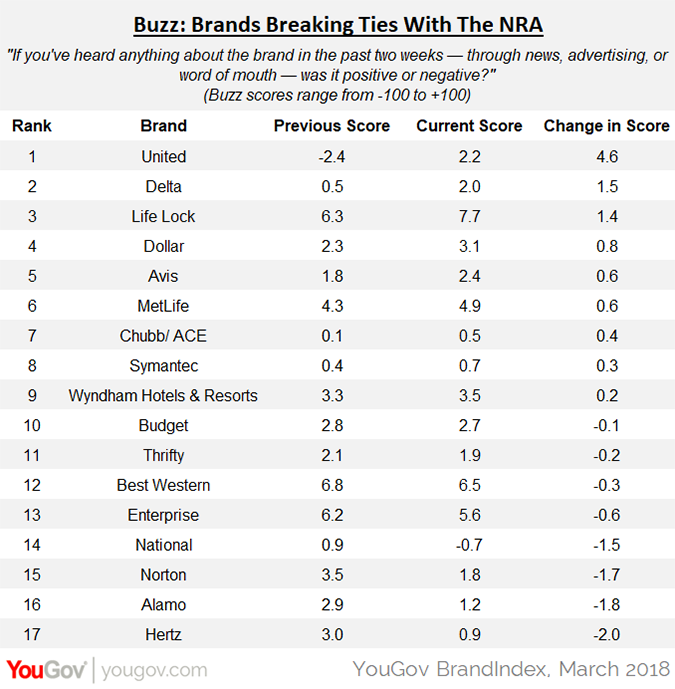 The airline made the biggest gains in both Buzz ("If you've heard anything about the brand in the last two weeks, through advertising, news or word of mouth, was it positive or negative?") and General Impression (“Do you have a general positive or negative impression of the brand?”).